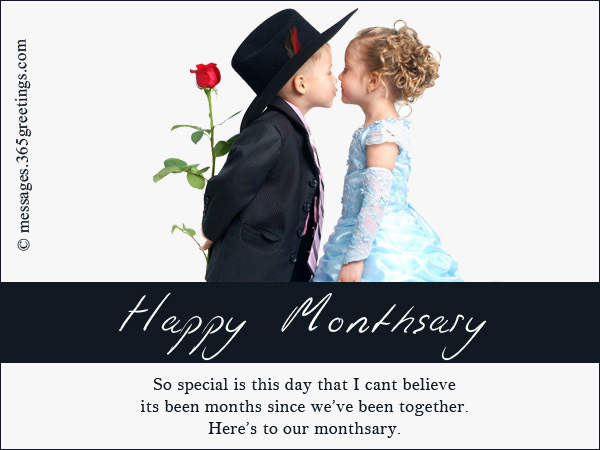 The word Monthsary has been derived from the monthly-anniversary. These days, couple love to celebrate monthsary a lot. 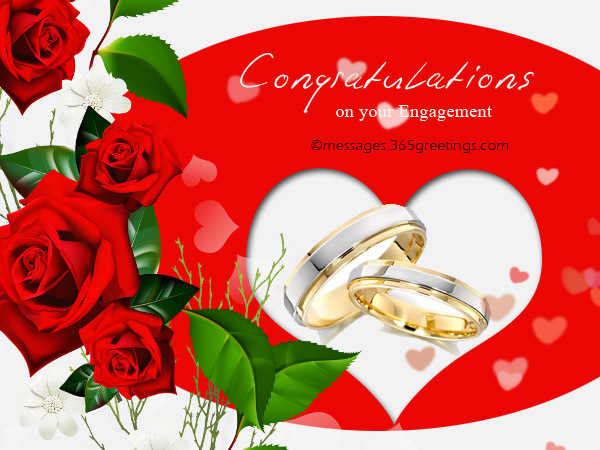 Couples love to celebrate the date on which their love-relationship started, every month. It is really a beautiful ritual which is becoming very popular these days. 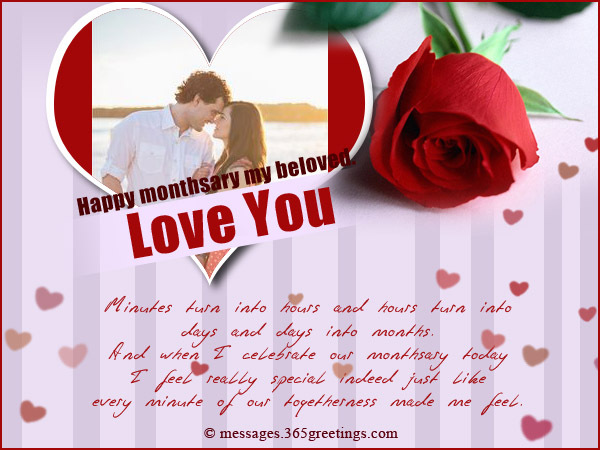 So, if you are searching for romantic monthsary messages for boyfriend, then checkout below. 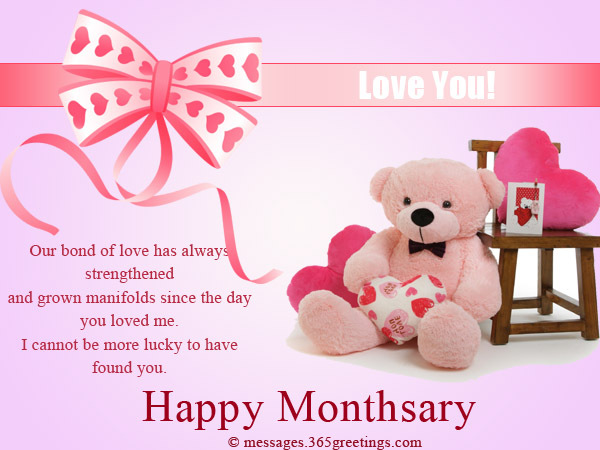 We have composed these beautiful monthsary messages especially for you. 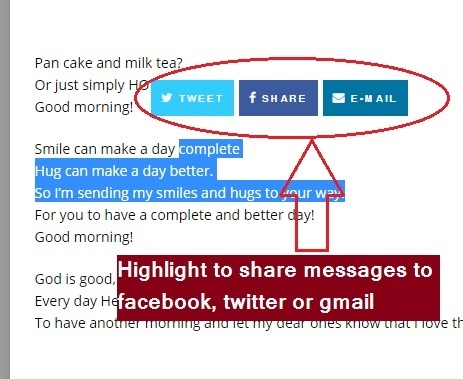 Feel free to send these messages to your boyfriend and make the day even brighter. but you never left the side of me. Love you to the core. so many months of togetherness. that I will never get tired of loving you. we shall enrich and celebrate our love today. what real love and care means. You are the world to me now. but then I met you and fell in love with you. Its been months since I have been this lucky enough. and lets celebrate our monthsary of togetherness. that I have sent along. I’m always here for you no matter what. as its our monthsary and don’t care what people say. and grown manifolds since the day you loved me. I cannot be more lucky to have found you. and love me at my best. that no pleasures of world can outlive it. for the rest of the month. 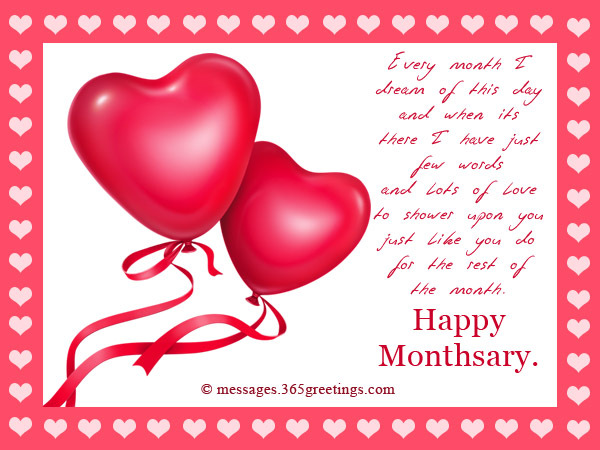 and fills me with deep love to cherish our monthsary. and always hold your hand in times of good and evil. my world is full of smiles whenever I think of us. and bundle of joy in times of sorrow. Love you to the core and happy monthsary. its been months since we’ve been together. The time we’ve had together has been really amazing. I can’t believe it has been another month. Lets celebrate this day together. pets, toys recipes etc but today is the day to celebrate us. 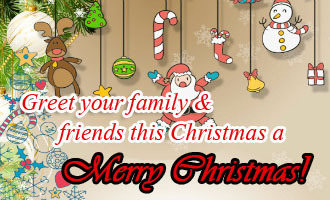 with full joy and festivity. and crave to be in your arms, my favorite place. lets celebrate our monthsary for the coming days. Minutes turn into hours and hours turn into days and days into months. every minute of our togetherness made me feel. that keeps me charged up in my life. and God’s grace bestowed upon us. and every thirty days I celebrate my love for you. 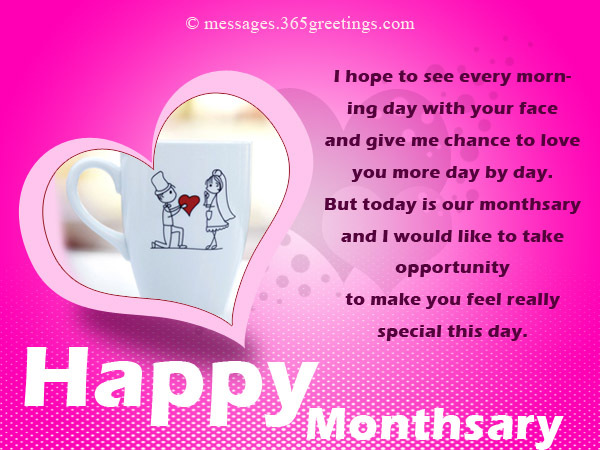 may our love blossom more and more in the new month. Thank you for making me feel this way. And I love you for every thing that you did for me. Its been 15 months now. We made it! Happy monthsary. how much special I feel when I am with you. but anyways here’s to our monthsary. 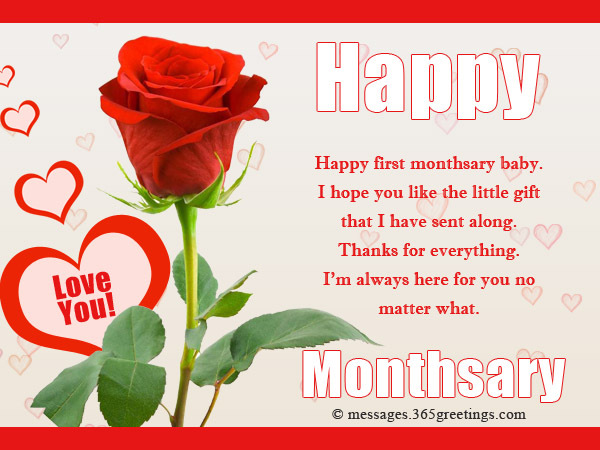 and want to celebrate this day with you every month. it may be short, but it will be amazing. For every moment spent with you, is a moment I treasure. And more and more months to come with fulfillment and harmony. both a boyfriend and best friend. Cheers to life and cheers to our love. Thank you for your love and commitment throughout. You never made me feel low and always cheered me out. My love for you is like a circle with no end. I’m too old today to remember how many months its been. You have always been by my side. and great joy in having you in my life. and special with both happy and unhappy moments. even in my best and worst days. made me a better person each day. for having you in my life. the first time we’ve been together. I’m still so in love with you. there won’t be any reason for me to cry. Happy monthsary to you and me. there’s only 1 thing 2 do and 3 words 4 you. I won’t find the love that you have bestowed upon me these months. 10 months of togetherness in your arms and feel loved. such a feeling as it comes when I am in your arms. and charged up whenever I saw your face in the evening. since the day you loved me. Happy monthsary. 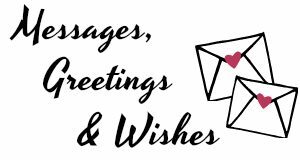 Hope you enjoyed reading this messages as much as we enjoyed composing these for you. So, what are you waiting for? Go ahead and send the ones you liked the most to your boyfriend and make him feel loved.